Many aficionados of the tribal arts agree that this is among the greatest collections in the world. As early as 1907, Josef Mueller shifted his focus from works of the Parisian avant-garde to the African masterpieces that inspired them. 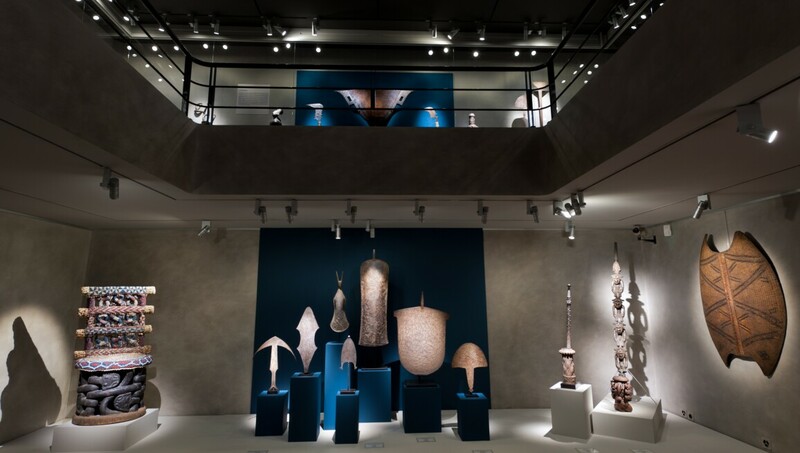 Joined with treasures of famed Swiss collector Jean Paul Barbier (Mueller’s son-in-law), the museum now features 7,000 important works from Africa, Indonesia and Oceania, as well as tribal Asia and the earliest phases of Mediterranean cultures. In addition, the presentation at this venue, which opened to the public in 1977, is truly dramatic.